No time for reading Harari’s three mind-boggling bestsellers? Listen to him talk about his latest and most relevant book at ‘Talks at Google’. ‘Everybody is amazed by Yuval Noah Harari’s brilliant questions and visionary insights. I read all three of his books (Sapiens, Homo Deus and 21 lessons …) and keep nagging friends and colleagues to read them. 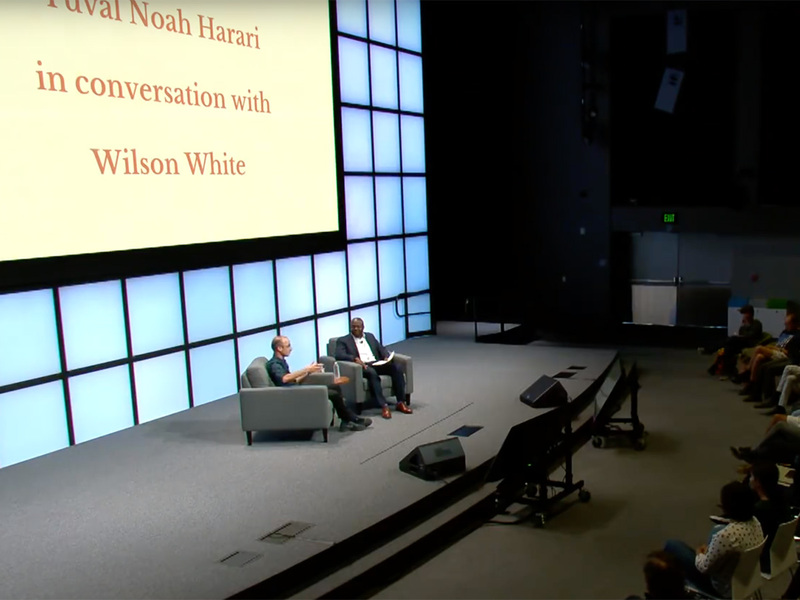 Now I stumbled across this interview Harari gave at ‘Talks at Google’, in which he makes all the most important points from his latest book. It’s only 50 minutes and you can listen to it on your way to work or washing the dishes. Hear the macro-historian talk about: AI and biotech, software engineers finding themselves in the role of philosophers and the new skills that will be required of the future worker.